It was always going to be one of two teams; the Philadelphia 76ers or Portland Trail Blazers, that helps the Cleveland Cavaliers get rid of Brendan Haywood and Mike Miller, helping them get some massive luxury tax relief and gain a pretty substantial trade exception. The Cavaliers send away Haywood, who is on an unguaranteed $10.5 million deal that can be waived by August 1, and Mike Miller, who exercised his $2.8 million player option knowing he’s likely to be moved, feeling like he might have a better shot of getting more playing time on a different team, averaging 13.5 minutes a night last season in 52 games. Along with the two players, the Blazers also receive the higher of the Cavaliers two second round draft picks in 2019 and another second rounder in 2020 for their help in making this deal happen. They send back cash considerations to the Cavaliers, while for Cleveland, who still intend on re-signing Tristan Thompson and maybe J.R. Smith and Matthew Dellavedova as well, it means shredding the current luxury tax bill from $32 million to $4 million, although it will rise again once they complete their re-signings. Haywood probably won’t play for anyone else in the NBA. The Blazers won’t be able to flip him for something, and will simply release him before August 1. Haywood averaged just 1.6 points in 5.4 minutes per game last season, and isn’t likely to see more playing time from anyone else, even if he comes in at a veteran’s minimum, which will be the case once he’s released. This move for the Blazers was about getting some draft picks for the future, not really losing anything in the process. For the Cavaliers it was about clearing some tax money which quite the commodity for them considering their wage bill in 2015-2016, with at least three max contracts (LeBron James, Kevin Love, Kyrie Irving) and maybe something close to that once Thompson is back on the team, if that deal is ever completed. Miller gets a $430,000 trade kicker from the move. LeBron James was upset in 2013 when the Miami Heat used the amnesty clause on Miller, but thinks it’s the right thing to do in this occasion so Miller can get a chance to play more minutes. The Blazers are expected to buy him out and allow Miller to hit free agency. 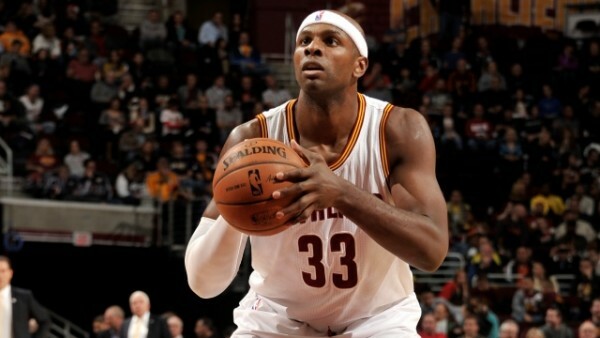 The Cavaliers gained two separate trade exceptions that can’t be used in one deal.